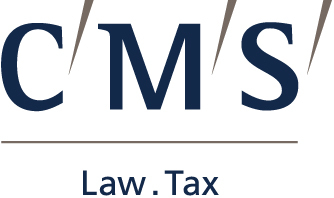 ALM, publisher of The American Lawyer, Corporate Counsel, and Legal Week, is delighted to announce the annual Transatlantic General Counsel Summit. 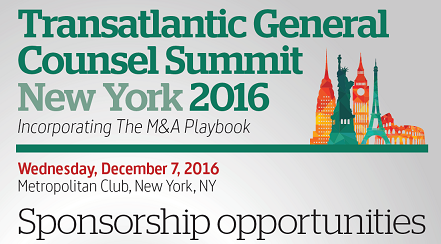 Taking place at the Metropolitan Club in New York City on Wednesday, December 7, 2016, this exclusive gathering will bring together the elite General Counsel and law firm leaders from both sides of the Atlantic. Through negotiation tactics, risk management strategies and predicting the unpredictable, attendees will be challenged to identify how they can determine what meaningful difference the legal function can make in contributing to the company’s transatlantic strategy. This event comes exactly six months after the successful gathering in London and will act as a continuation of the issues addressed - CLICK HERE TO VIEW THE HIGHLIGHTS VIDEO. The seniority of the audience requires this forum to be an ideas exchange on a peer-to-peer basis, with our attendees being encouraged to immerse themselves in the discussions and debates!